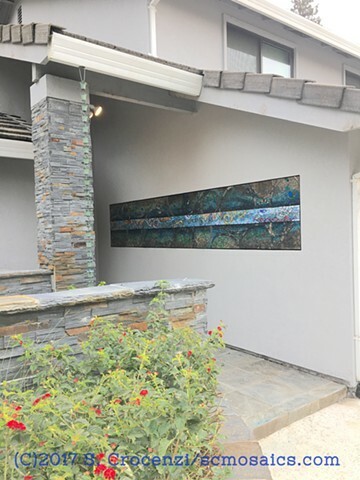 Thirteen feet of river love interpreted in glass for the entryway of a private residence in Sacramento. Each season is represented by flowers and spirals in the middle band surrounded by the colors of the Sacramento and American River watersheds. More photos and video here. Tempered glass mosaic, stained glass mosaic, tempered glass mosaic mural, stained glass mosaic mural.